2016 has officially kicked off with so much drama, and I am loving it. Please, bring it on baby! Lol. Cynthia Morgan is showing us the Ajegule side of her as she has taking a blast at Davido again over his Headies next rated comment... Davido had endorsed Lil Kesh as the winner of the prestigious award, saying he (Lil Kesh) was the real MVP. 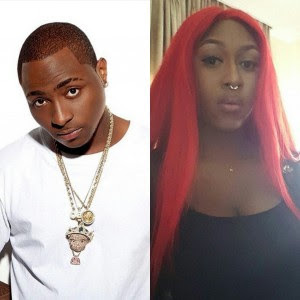 It would be recalled that after Davido made the comment on twitter, Cynthia Morgan who was one of the nominees for the award replied the Money crooner, saying he needs to take a chill pill as everyone on the category was an MVP.